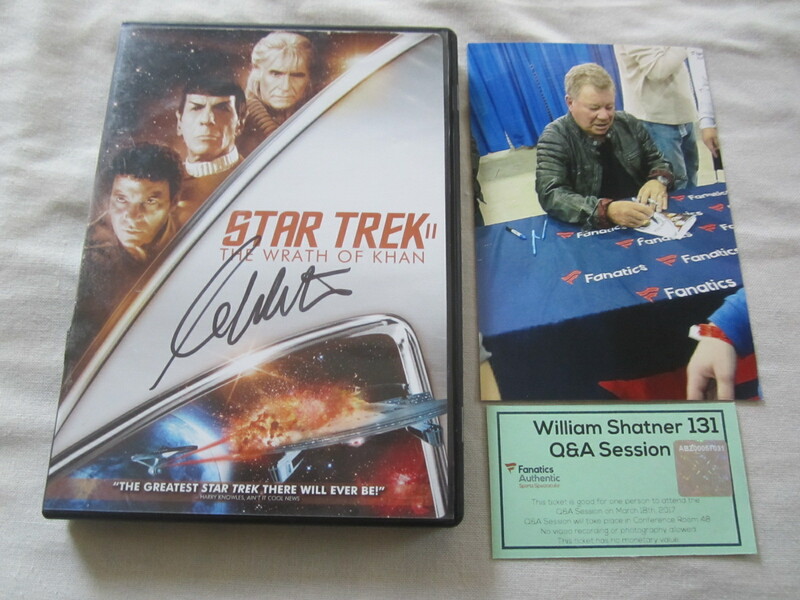 Star Trek II The Wrath of Khan DVD autographed in black marker on the cover insert by legendary actor William Shatner (Captain Kirk). DVD is included but not autographed. Obtained at Fanatics Authentic event, with original event ticket and photo from the signing. ONLY ONE AVAILABLE FOR SALE.